Download the latest version for Mac OS X 10.4 here. Mac OS X 10.5 here. OS X 10.6/10.7 here. 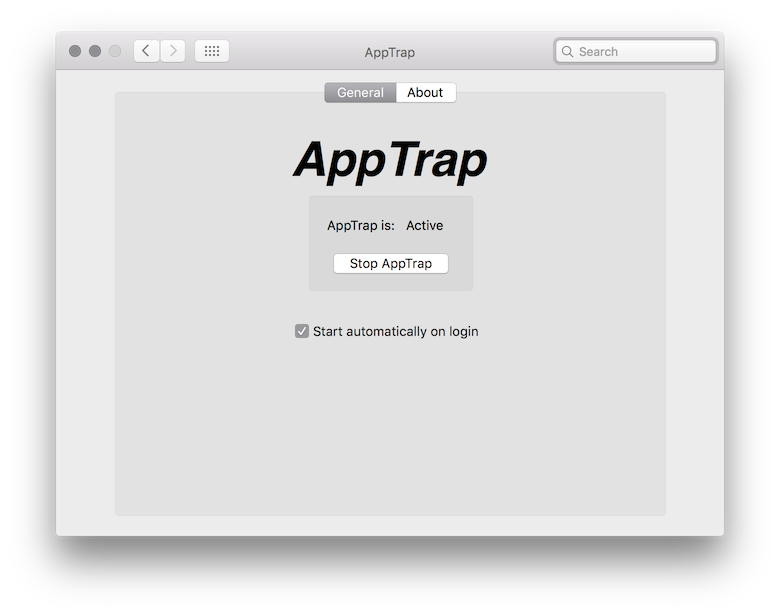 You can discuss AppTrap over at its Google Group. Thanks to the original developer, Markus Amalthea Magnuson. My name is Kumaran Vijayan. I'm a software developer in Saskatoon, Saskatchewan. I love to write iOS and OS X software. I'm on Twitter and I run a blog. Moving an application to the trash is simple and easy. Shouldn't true uninstallation on the Mac be the same way? 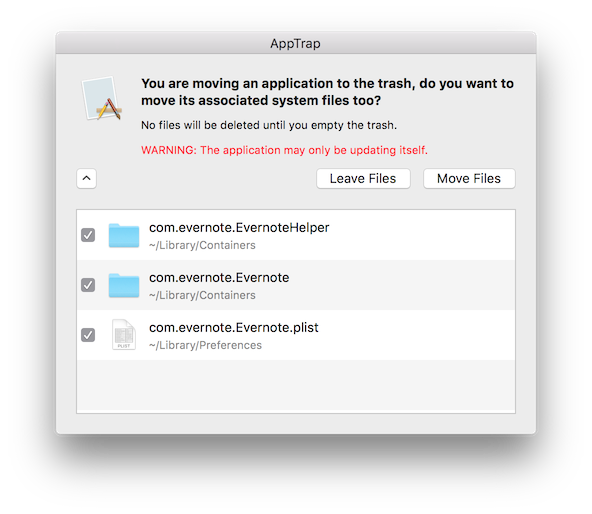 With AppTrap, when you move an application to the trash, you're automatically asked if you want to move the associated preference files as well. Now that's uninstallation, the Mac way. Fixed a memory leak that would occur when AppTrap would search the trash folder. The solution involves restarting the background process when your Mac wakes from sleep. This is currently a stopgap measure while I implement a new design that fixes the problem.